We supply a wide range of cellular Silicone Sponges including thermally conductive high recovery sponge. Material is available in different colours including but not limited to: white, black, blue, red oxide and grey. 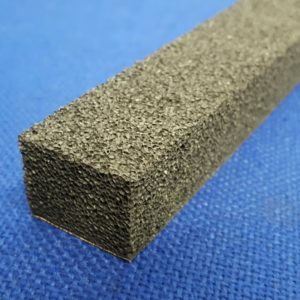 Our Silicone Foam range includes flame retardant material resistant up to 1000ºC and can meet BS6853, LUL, NF F 16-101, GM/RT 2125, UL-94 V-0 and HF1 standards depending on the grade selected. Open cell sponge/foam refers to a structure where the cells are openly connected to one and other. Because the cells are openly connected it means water, moisture and particles can pass through the cell structure. Most commonly ‘foam’ is used to describe this open cell structure. Closed cell sponge refers to a structure in which the cells are completely sealed from one and other. These closed spheres allow air to be trapped within each cell providing the sponge with a soft and padded feel. Unlike the open cell structure, water, moisture and dust cannot enter the sponge due to its closed structure. 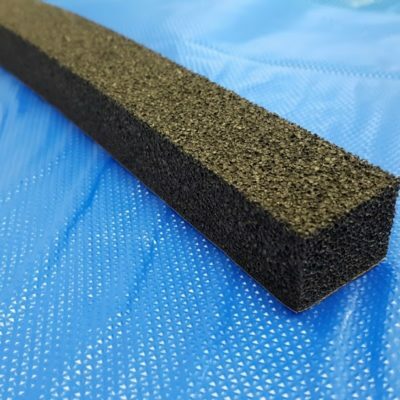 Closed cell sponge can be used for sealing when water and dust need to be kept out. Rogers BISCO HT870 – Soft flame retardant silicone foam. For additional information on Silicone Sponge Sheeting and other materials, please refer to our materials page.